Fig. 1 Leafminer larvae feeding in the leaf through sinuous mines. Leafminers (Phyllocnistis citrella) appears to be an important pest this year in our area. As a matter of fact, this is the first time they appeared in my garden. 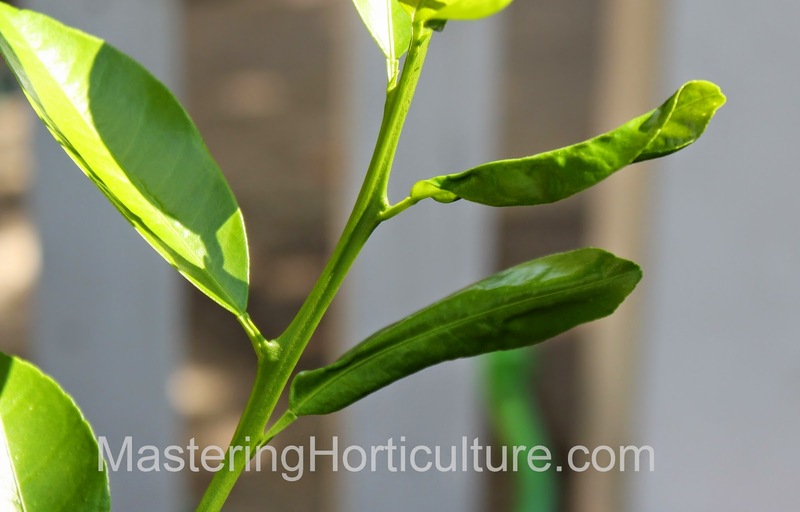 All my citrus plants - including orange (Citrus sinensis), lemon (Citrus limon) and calamansi/calamondin (Citrofortunella microcarpa) - showed symptoms of infestation during late summer and early fall. Citrus leafminer is native to Asia and has spread slowly around the world. It is relatively new in the US as it is was first discovered in Florida in 1993 and eventually made it to California in 2000 (1). It was first detected in Imperial County - probably through Mexico. It soon moved inward toward adjacent counties (2). And this year, leafminer now infests Sacramento and El Dorado Counties - including my garden. Fig. 2 Leafminer larvae: feeling agoraphobic after an opening was made on its tunnel. Fig. 3 Citrus leafminer (Phyllocnistis citrella) on Calamansi. The success management depends on how early the life cycle broken. Pest when properly managed can be inhibited from spreading into a large area. 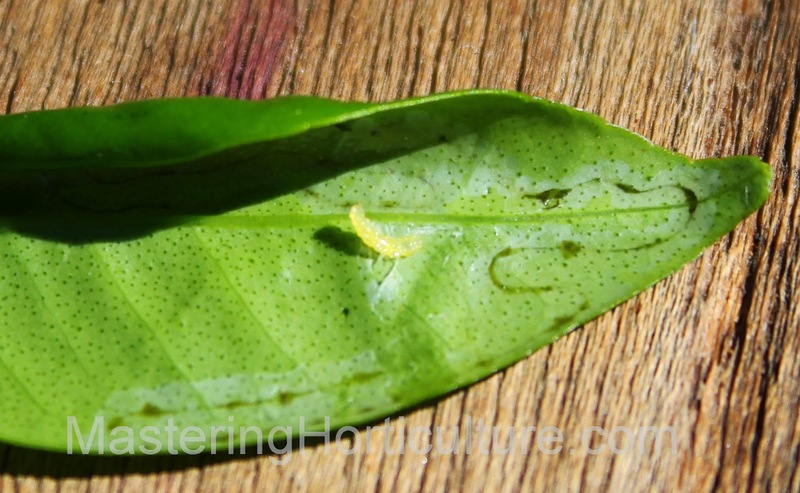 Since oviposition (egg-laying) happens only in the newly opened leaves, it is a good idea to monitor the presence of leafminer around the time of growth flush. IPM recommends the use of pheromone-baited traps only to detect the time when males begin to fly and determine time of insecticide application. 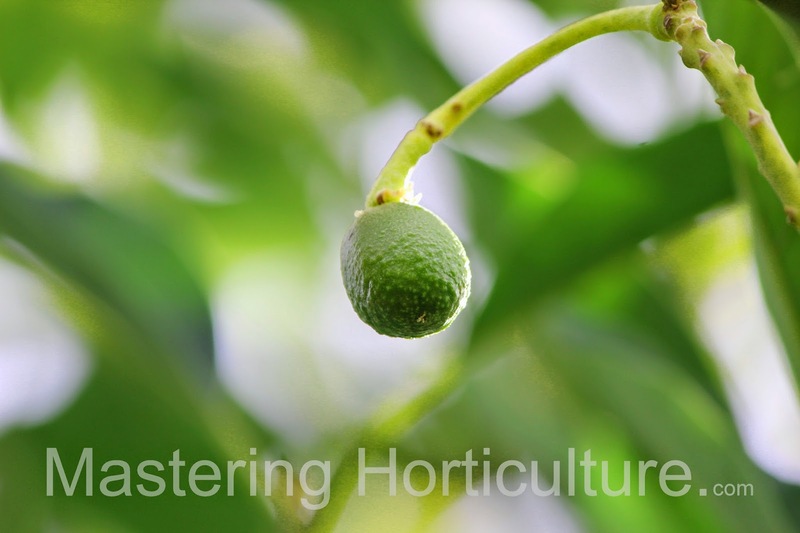 There are insecticides available for the control of citrus leafminers but timing and type of insecticide is key. specific stages of the insect's life cycle. 1. Permethrin (e.g. Eight) and Spinosad (e.g. Captain Jack's Dead Bug) Controls the moths. Spray only within the area where they are expected to linger. 2. Horticultural oils (e.g. Neem Oil) May hinders oviposition (egg-laying) on sprayed leaves. Repeat spraying as new leaves emerge. 3. Neonicotinoid (e.g. imidacloprid) controls the larvae. When the leafminer larvae are inside the "leaf mine" only systemic insecticides (such as neonicotinoid) can get them effectively. For drench application, it is important to keep in mind that the insecticide molecules take about two weeks to reach the growing points of the plant - where leafminer eggs are laid. In other words, apply before infestation is expected - when the new leaves are half-way open. Imidacloprid when sprayed on the leaves can also move translaminary - the active ingredient of the insecticide penetrates the leaf cuticle and moves into the leaf tissues. 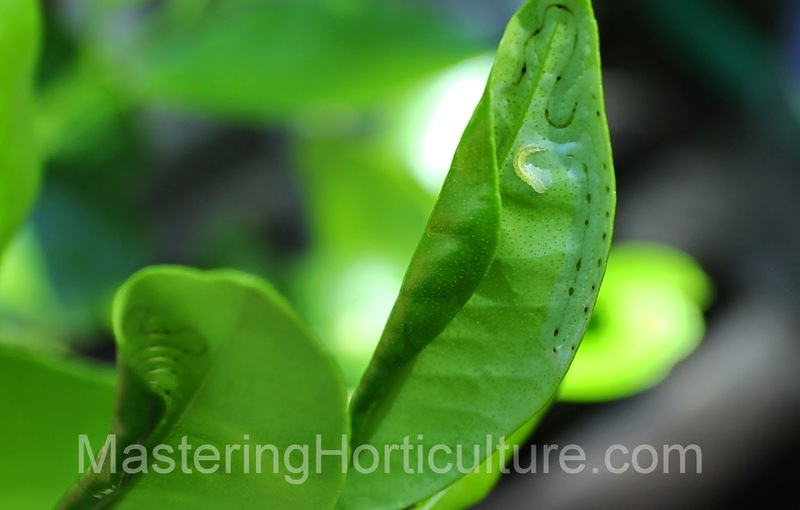 This means that even the larvae that is securely tucked in its tunnel becomes vulnerable. When using any insecticide, always use recommended dosage and the recommended schedule so that we do not accidently kill unintended insects including beneficial ones. 1. 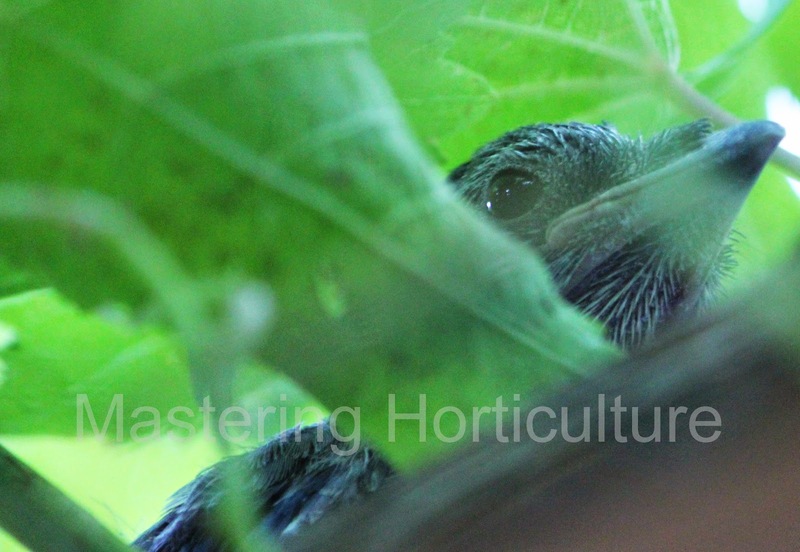 Pruning encourages new growth (flush) on which leafminers prefer to lay their eggs. If you can handle looking at leafminer-damaged leaves, do not be too in a hurry to cut them off because they can still continue to photosynthesize (produce food) for the plant. 2. High-nitrogen fertilization also result in a growth flush. Avoid excessive nitrogen application and use organic fertilizers or slow-release fertilizers. Stroll in your garden often. If you find some leafminers, squash them. Fig. 1 'Super Fantastic' tomato. As the summer draws to an end and the summer vegetable garden begins to fade, I thought I’d look back. 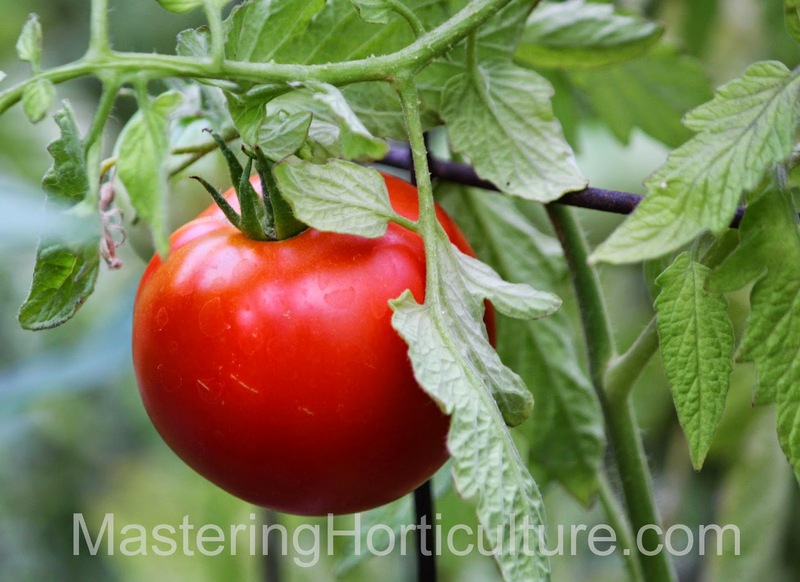 Everyone knows how to grow tomatoes but there are things each gardener learns through experience. For the record, here is a list of some of the useful lessons I learned. Fig. 2 Almost-perfect fruit set. Optimum temperatures for tomato fruit setting are between 70 and 85 degrees F.
Lesson 1. 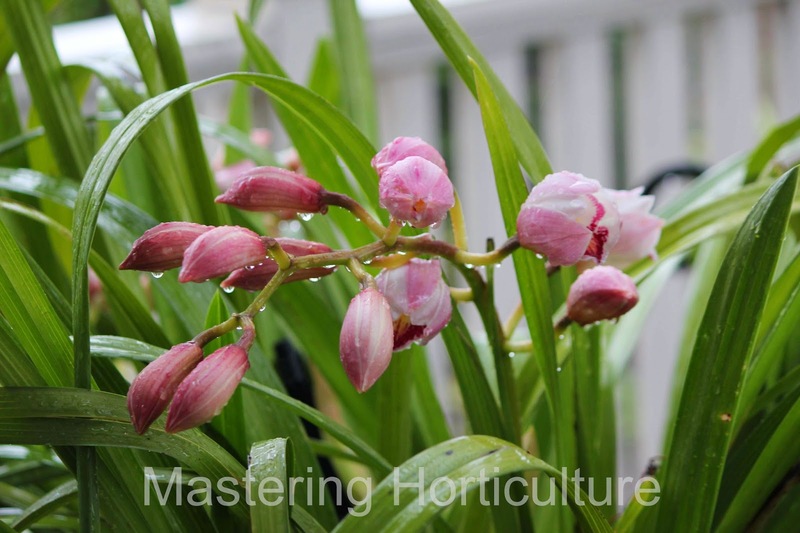 Plant early in the season – protect them if you need to. As early as March, when other gardeners were still anticipating more frosty nights, we planted tomatoes. As a result, we enjoyed eating our own home-grown tomato salad early in the season. There is a small window in the temperature range when tomato blossoms set - and the optimum day temperature range being 70-85 degrees F. When night temperatures are cool (consistently below 55 degrees) or when day temperatures are hot (day temperatures of 95 degrees with night time temperatures of consistently above 75 degrees), fruit setting is jeopardized. 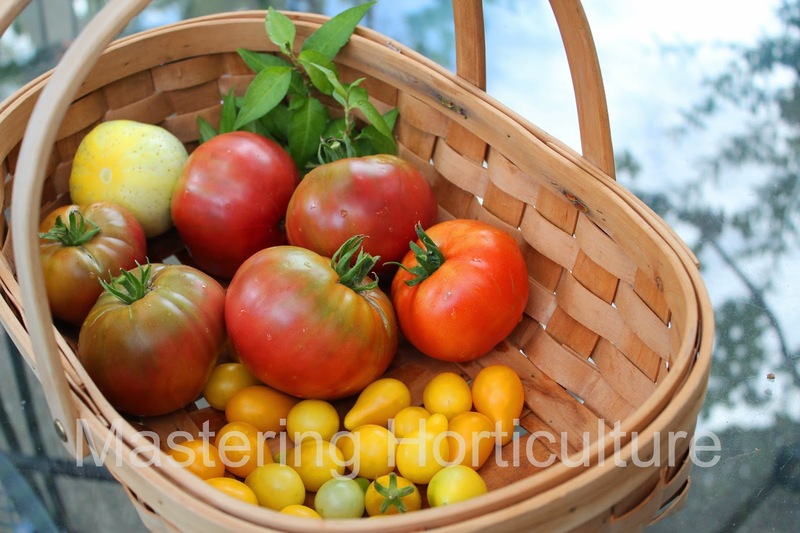 Planting early prepares tomatoes for fruit setting prior to the occurrence of optimum temperatures during that season. 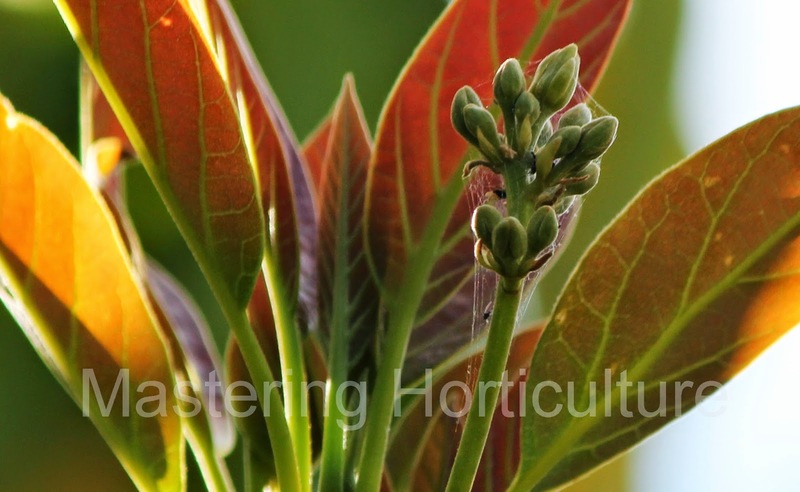 The plant should be blooming by the time temperatures are right because this part of the country (Zone 9) heats up within a short period of time. There is nothing worse than having tomato plants that are beginning to bloom in the dead of summer. No amount of blossom spray will correct the effects of our area's intense summer temperature. Consumption and utilization of produce is the ultimate measure of success in vegetable gardening. Lesson 2. Stagger planting of similar maturity-date varieties. This is especially important when planting determinate varieties which yield one heavy crop on a short period of time. 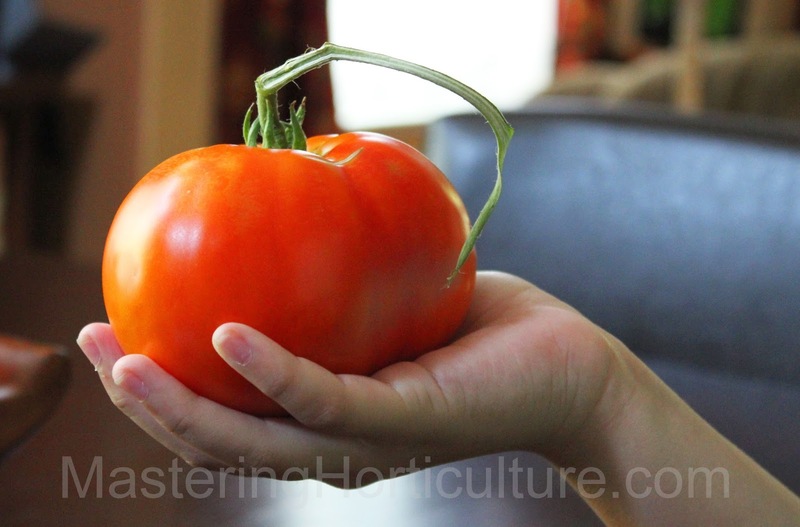 Planting tomato successively at two-week- interval provides a progression of harvest rather than an overwhelming amount of harvest at one time. It prolongs harvest period and makes canning even more manageable. The soil is like a plant nanny that holds food and water for the plant. Lesson 3. Recondition old soil. Continuously planted soils get depleted over time. Between the amount plants take up and amount water carries through run off and percolation, available nutrients in the soil can rapidly diminish. This is a mistake I had overlooked this year. Just because, my garden produced vigorous plants in the past, I took the soil condition for granted - a critical part of the garden was neglected. Therefore, by the end of this year, I plan to cover the area with chicken manure and leaves that will fall from healthy deciduous trees. Then add a small amount of complete organic fertilizer. This recipe will encourage microorganisms and earthworms to do their job on boosting the condition of the soil. 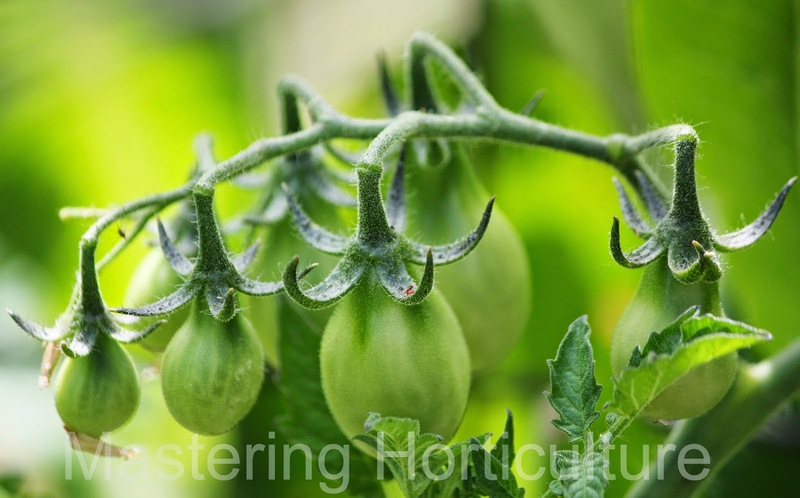 Tomatoes stop being productive under extremely hot and dry conditions. Lesson 4. Plant Tomatoes where they get late afternoon shade. While tomatoes are a summer crop, they reach optimum production at relatively low temperatures. When temperatures are high, the stomata close and thus halt production (photosynthesis). In this part of the country (Zone 9) temperatures get in the high nineties up to over 100 degrees. It is a good idea to position the tomatoes in an area where they get a relief from the intensity of the summer's afternoon sun. Not only does the production rate is reduced, problems such as scalding, blossom-end-rot, and leaf curling become a problem. Some gardeners provide shade for the tomatoes during the late afternoon to reduce stress from high temperatures, water deficit and high radiation. Fig. 4 Fresh from the garden. Gardeners don't work alone, they have natural allies. Lesson 5. 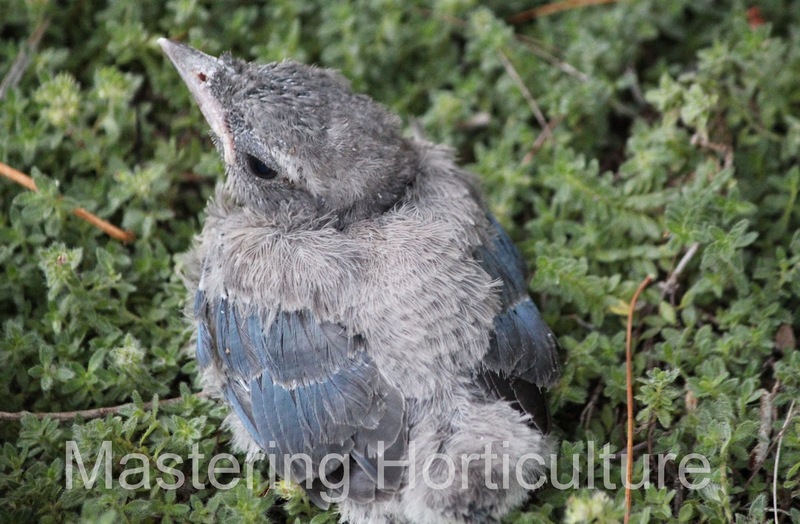 Attract Blue Jays to the garden to eliminate problems with tomato/tobacco hornworm. When it comes to finding the most devastating caterpillars in the tomato garden, blue jays are the best. It is good to encourage them to linger in the garden. Set out some large-seed bird food such as corn and peanuts in the garden and provide a source of water for them such as a simple bird bath. 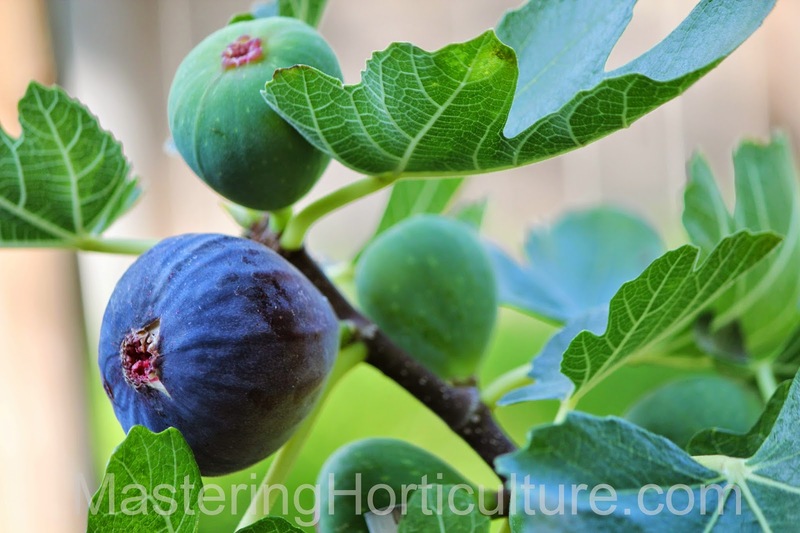 In my garden, the promise of fruits from the grapes, pears, apples and plums lure the jays as well as the mocking birds (both are great hunters of caterpillars) to stay around. 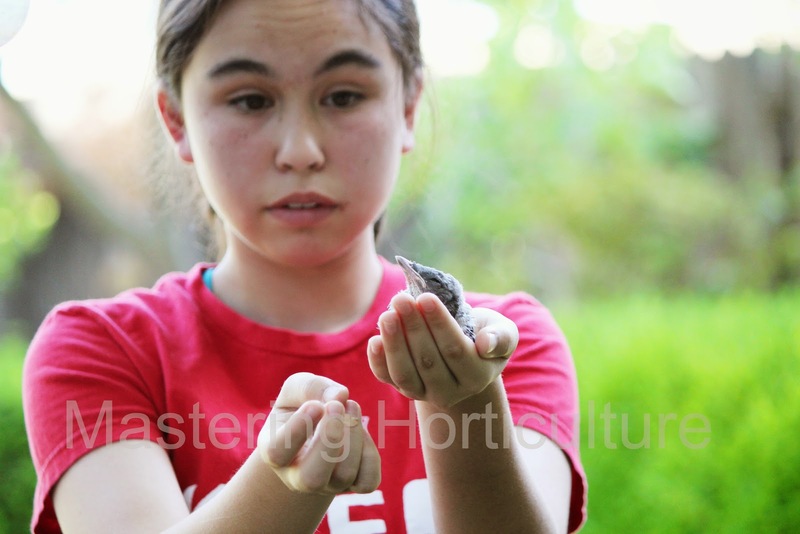 It’s been years since we had problems with tobacco hornworm. Every year I try one or two new plants in my garden and this year one of them is Torenia (Torenia fournieri). 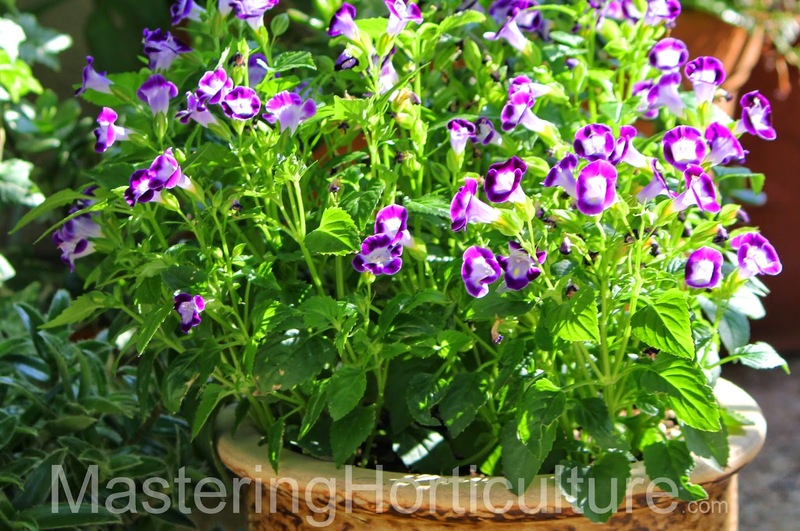 Torenia, commonly called 'Wishbone flower' is a beautiful annual plant that performs best in the shade. The tubular flowers come in shades of pink, yellow, and blue on the lobes - depending on variety. 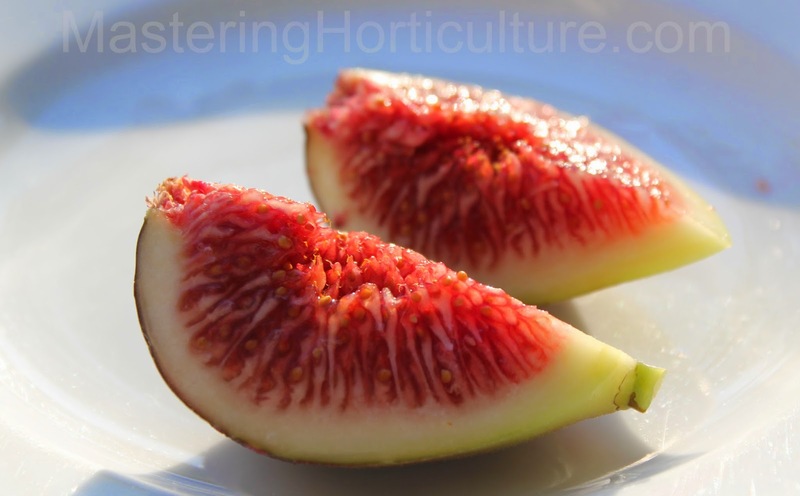 The tube often comes in white with a blotch of yellow in the interior of the lower lobe (Fig. 1). The plant grows up to 12 inches tall and wide and blooms continuously in summer until temperatures drop to freezing point. Fig. 2 Torenia blooms in summer to late fall. 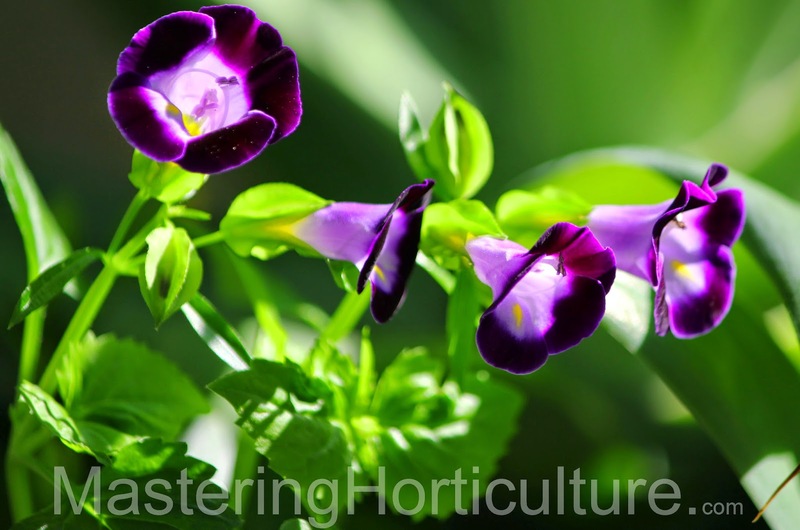 Torenia is generally easy to care for. For best results, plant it in the shade and where the soil is fertile. Keep the soil moist especially in hotter weather condition. 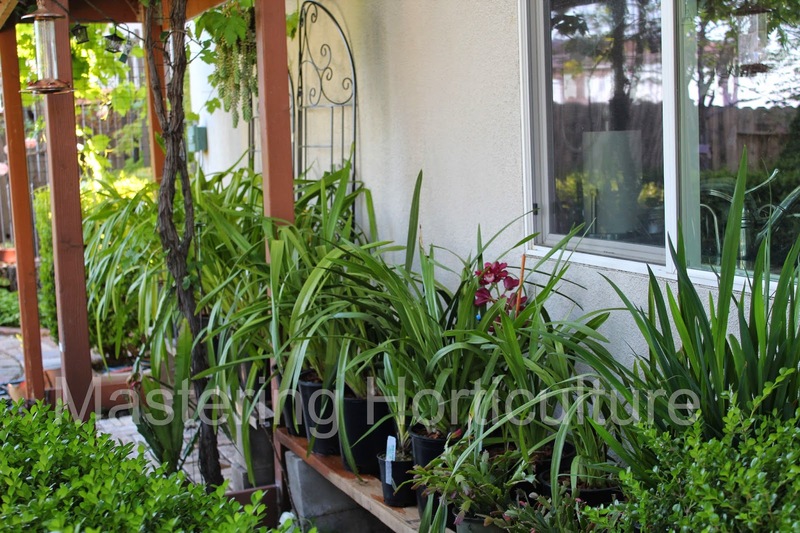 Pinch young plants to induce branching for a more bushy appearance of the plant. 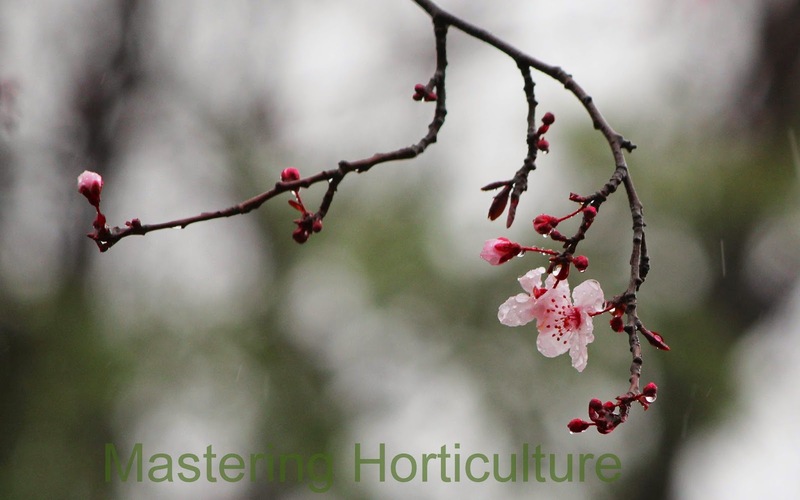 Fertilize regularly with complete fertilizer to promote profuse blooming. 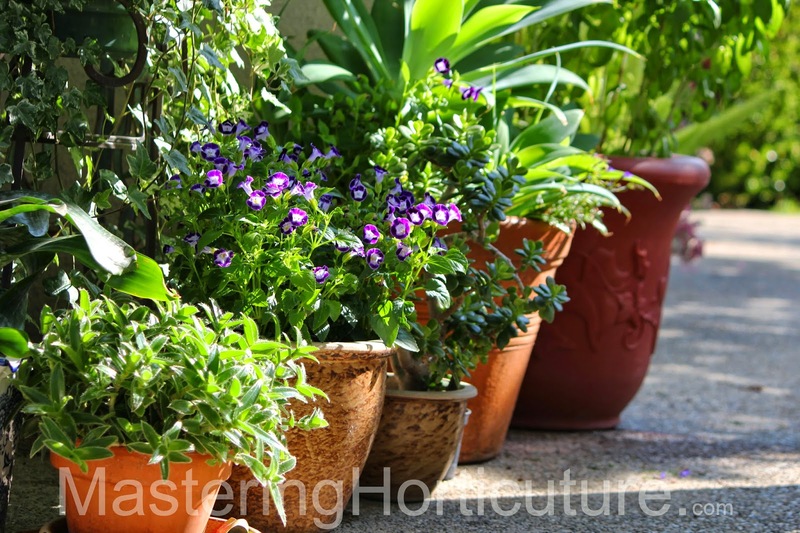 When growing torenia in containers, put container-plants together to create a shadier and cooler environment (Fig. 3). 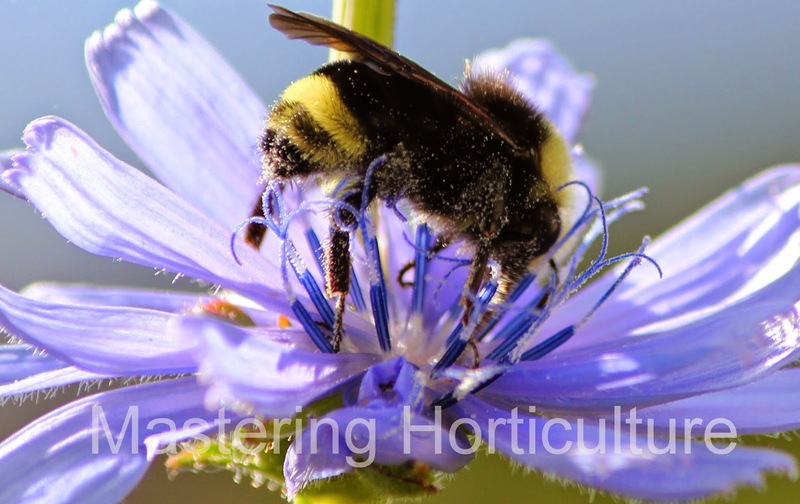 There are no known serious insect and disease problems but they could be susceptible to powdery mildew and possibly root rot - depending on soil. Torenia is giving me a positive first impression. So far, it will continue to have a place in my garden as an annual plant (replacing impatiens) until I find a better one. Fig. 3 Torenia enjoys the shade of taller plant. Try new plants in your garden - just for fun! Dracaena fragrans 'Masagaena' in bloom. 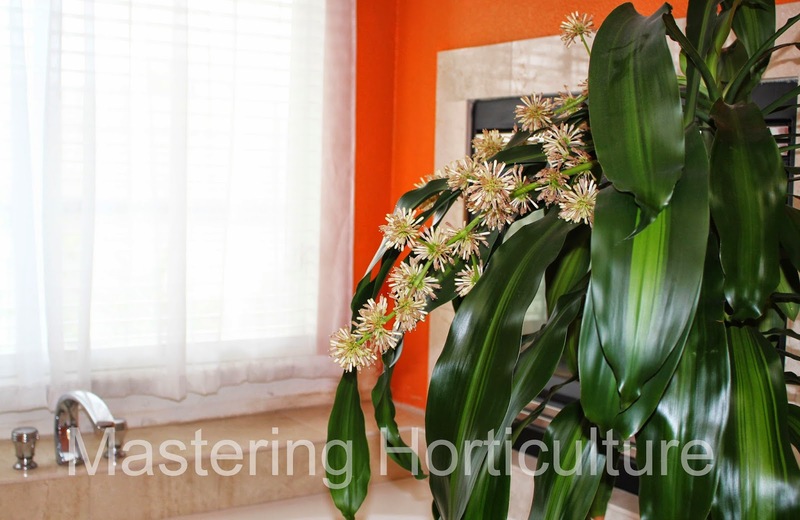 Dracaena fragrans is one of the most important houseplants in the United States because of its ability to tolerate low-light environments and low maintenance. 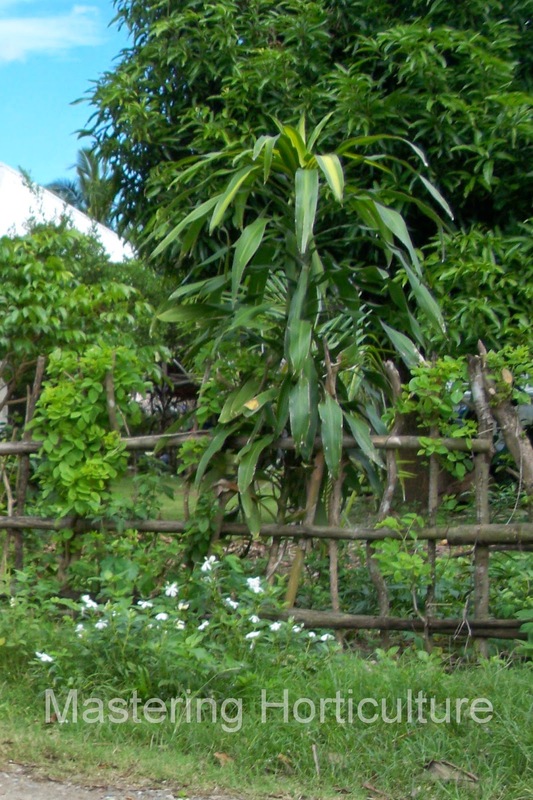 In the Philippines, it is grown both as an indoor or outdoor plant. Dracaena fragrans is sometimes called Corn Plant. For me, it is not uncommon to see this plant bloom. My mother had one that bloomed outside her front door year after year. Everyone who came to our house after dusk knew it was in bloom even if they didn't see the flowers. 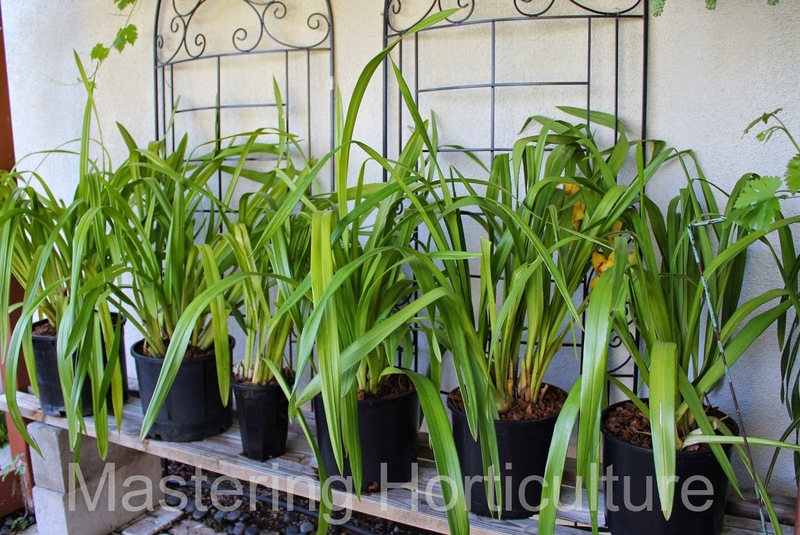 Here in my house (in California), there are three potted Dracaena fragrans - one of them is about eight feet tall and the other two are about six feet tall - all of which I've had for years now. I purchased these plants at different sizes. It has been my observation that only the mature plants - with a minimum trunk diameter of one inch- showed flowers. However, not all plants with the same size of trunk bloomed. One of my plants did not bloom this year even if it has larger trunk than the other two that bloomed. Therefore, I have to come up with another theory -- that the plant has to be exposed to not one but a combination of critical factors prior to flower initiation. I think the plant blooms when they reach a certain age and accumulated experience. How to quantify such variables remain unknown to me. I'm sure there are scientific literature out there that explain this mystery. But before I find them, I will enjoy the secret belief that my Dracaena fragrans is signaling the arrival of good fortune into my house. :). 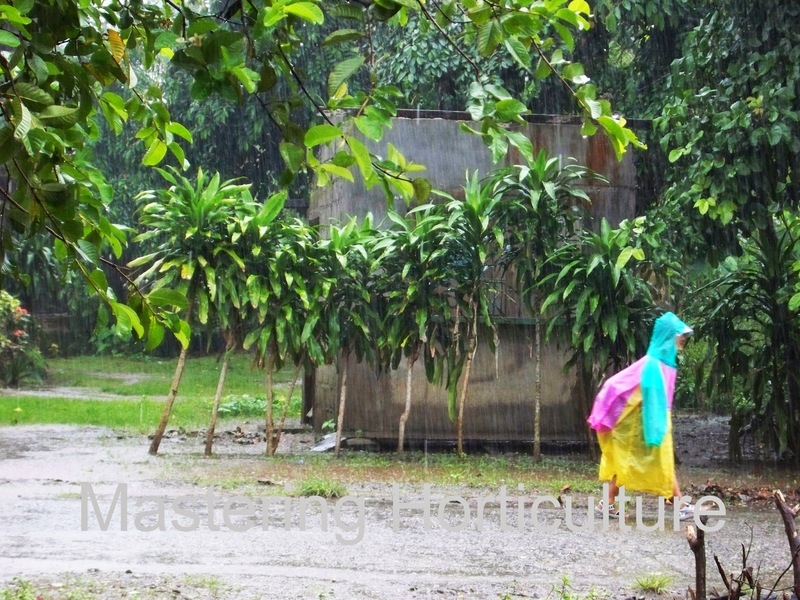 Dracaena fragrans line a village road in Cagayan, Philippines. Traditions, superstitions and beliefs determine the way cultures look at plants. 'Abraham Darby' is an English rose that was bred by David Austin. The flowers come in pinkish apricot color with a fruity fragrance and the leaves are small-sized and glossy. The plant is a vigorous medium sized bush with arching growth habit. Some consider it as a small climber but in my garden I prune it often both to keep the size in check and to encourage blooming. In my garden, I find 'Abraham Darby' resistant to black spot and powdery mildew. Regardless of the name, Abraham Darby is a garden-worthy rose! 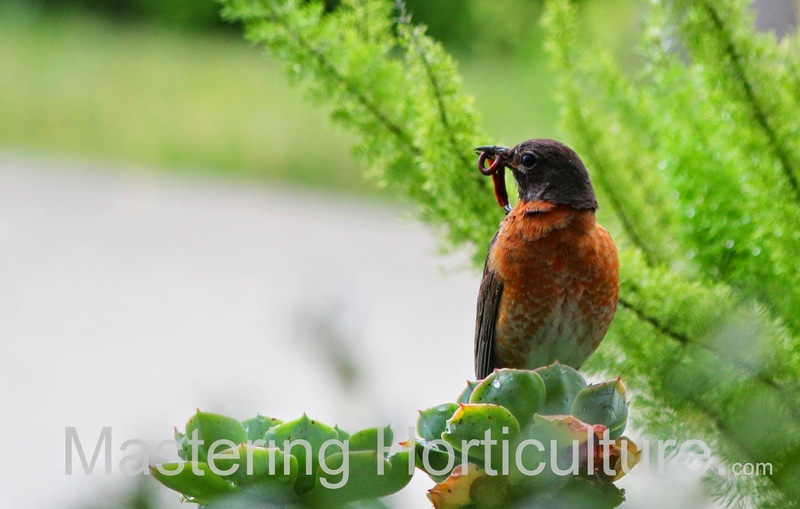 An American Robin (Turdus migratorius) gets the worm - early in the morning. Blue jays (Cyanocitta cristata) seem to consider our garden as a prime location for building nests. Previously, they had a nest on the lemon tree and on the Cecile Brunner rose that was by our front door. But the best so far was when they had a nest on a three-foot tall standard rose in the backyard. My two older kids, who were then very young, looked at the eggs every day. This year, our resident blue jays built another nest on the grape arbor. My daughter (younger) watched them as they gathered twigs for the nest. She observed every activity there - touched the three eggs and then heard the little baby blue jays claim their worm every feeding time. When the nest became too small for them and the mommy bird prodded them to fly but one of them was still too weak to take flight. It fell to the ground. We put it back to the nest that night but soon we saw her in one of the bushes where she was safe. Getting ready for the first flight. It is amazing to watch the birds take care of their young - they are like humans in the way they teach their kids - one lesson at a time. The other day I watched the parent blue jays teach the babies to splash water from the bird bath. It was amusing. Out of the nest for the first time. Attract the blue jays to your vegetable garden with corn or peanut seeds. And they will eat all your tomato hornworms too. Fig. 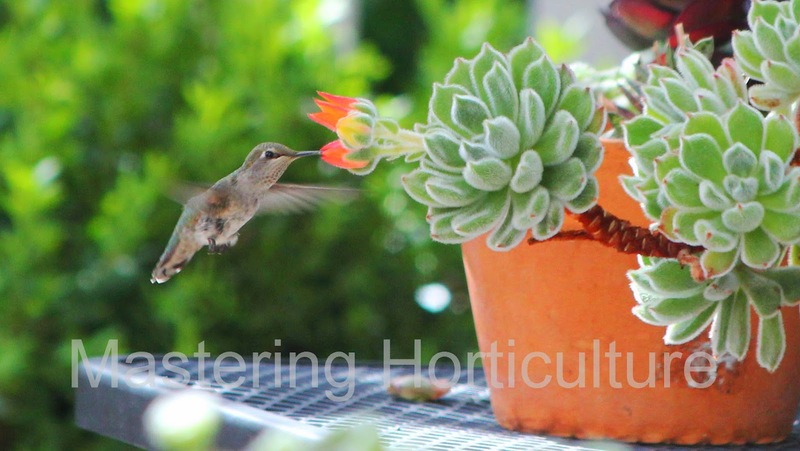 2 When in bloom, Echeveria cristata is a hummingbird magnet. 1. Soil. Plant Woolly Rose in the garden where the soil is well drained. Improve drainage of clay soils by adding sand or pumice in planting area. 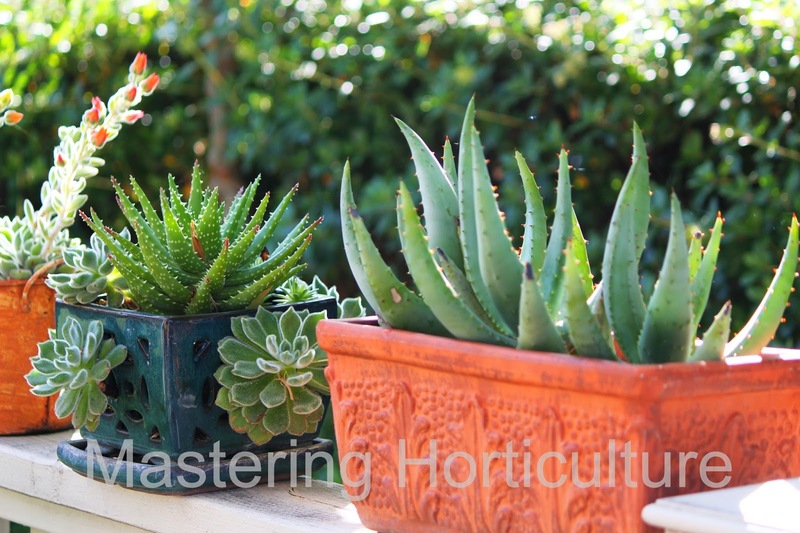 In containers, use cactus mix for good drainage and weight. Adding good amount of Perlite and sand to regular potting soil works as well. 2. Sunlight. Woolly Rose is adaptable to a wide range of environments but the plant will look its best in the right place. In the summer (Zone 9), position Woolly Rose where it will get a few hours of morning sun or a short period of afternoon sun. Too much exposure to sunlight will result in washed out yellowish color of the leaves while too little sunlight gives relatively greener foliage and longer internodes. 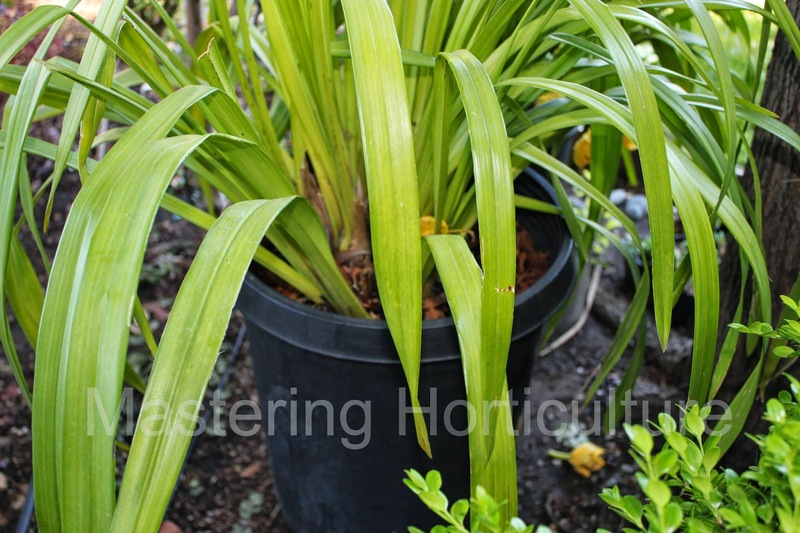 The right amount of sunlight will give the plant a bluish green color and compact rosette foliage. Contrary to popular belief, succulents thrive best in partly shaded environment. Fig. 3 Echeveria cristata planted along with some Aloes. 4. Fertilizer. 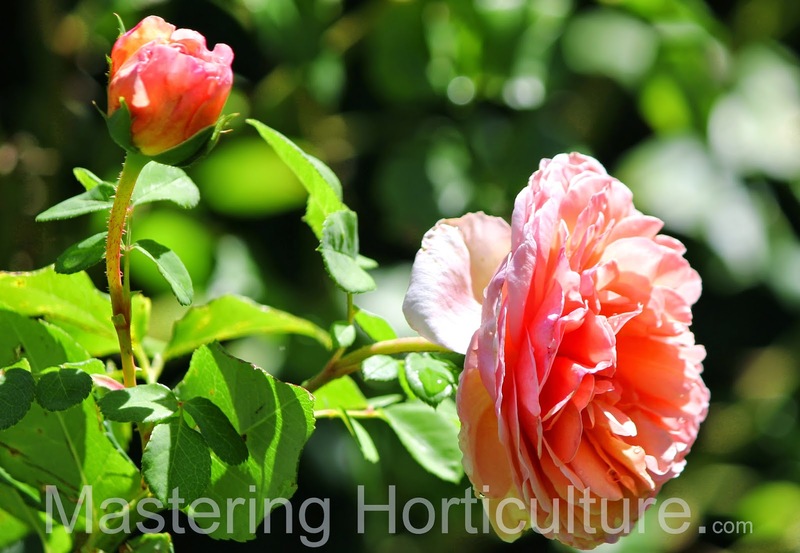 Woolly Rose performs better when it gets sufficient soil nutrients. 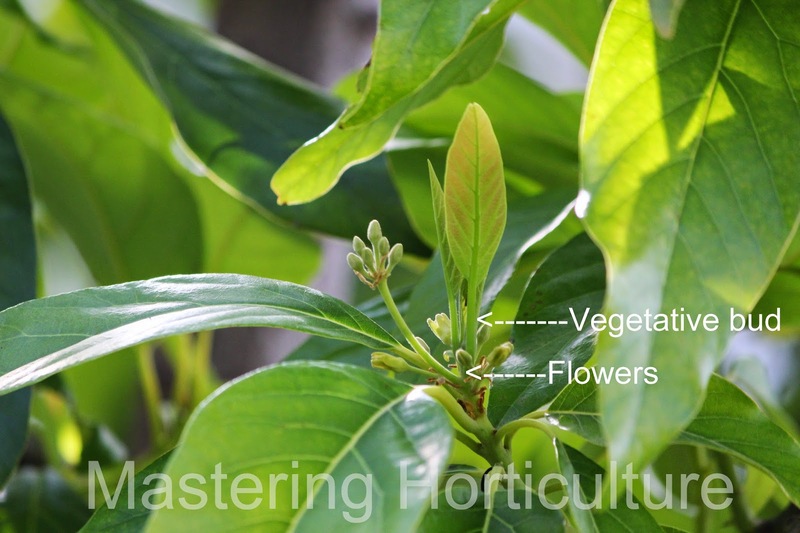 Although the plant does not need a lot of fertilizer, it is responsive to fertilization during growing season. A low dose of complete fertilizer is all the plant needs. 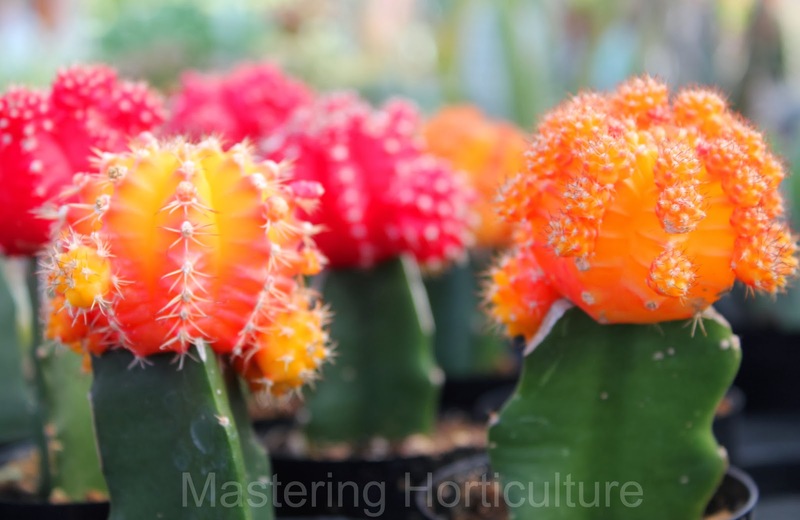 Succulent/cactus fertilizers (2-7-7 and 1-7-6), available at local nurseries, are easy to use and can be applied as often as every other week. 5. Protection from Frost. Woolly Rose is easy to grow - the only problem, especially where I live, is the susceptibility of the plant to frost damage. In areas where freezing temperatures are expected, protect the plant by moving them to a sheltered area. With a little bit of protection this plant will continue to provide a delightful touch in the succulent garden. 6. Propagation. 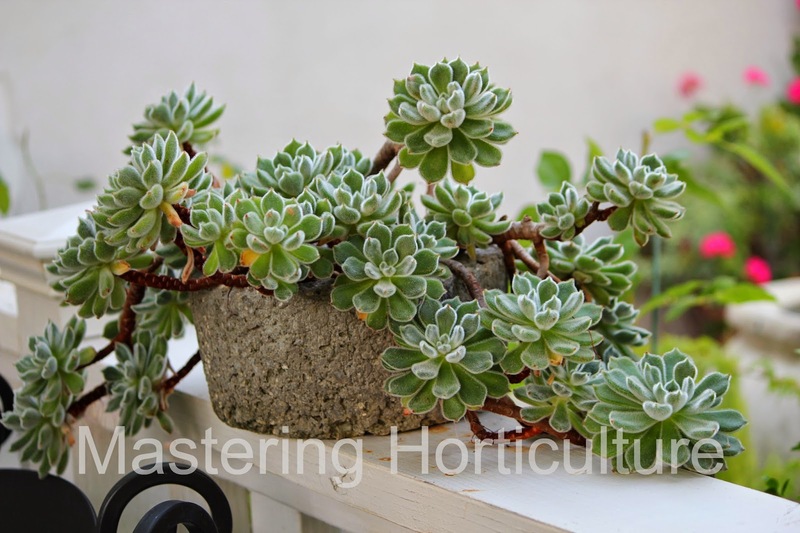 The plant is easy to propagate through cuttings. Stem cuttings collected under the lowest leaves are the fastest to root. Collect and stick the cuttings where there is a little bit of moisture and warmth. Figure 3 shows Woolly Rose growing from the sides of an orchid plant. Cuttings were directly planted into the holes. Some succulents can be easily propagated from the leaves but this is not the case with Woolly Rose. Fig. 4 Trichome-covered rosette foliage. Note: Extreme temperatures, drought, and nutritional deficiency are conditions that can cause stress to Woolly Rose - all of which can contribute in the loss of the basal leaves and exposing a dark brown stem (Fig. 4). However, this is not necessarily alarming. In fact, this is a natural process that gives that plant an aged look. Radicchio (Cichorium intybus) made it into my vegetable garden when my husband sowed (literally poured) a packet of Salad Greens seeds in between tomato plants last summer (2013). 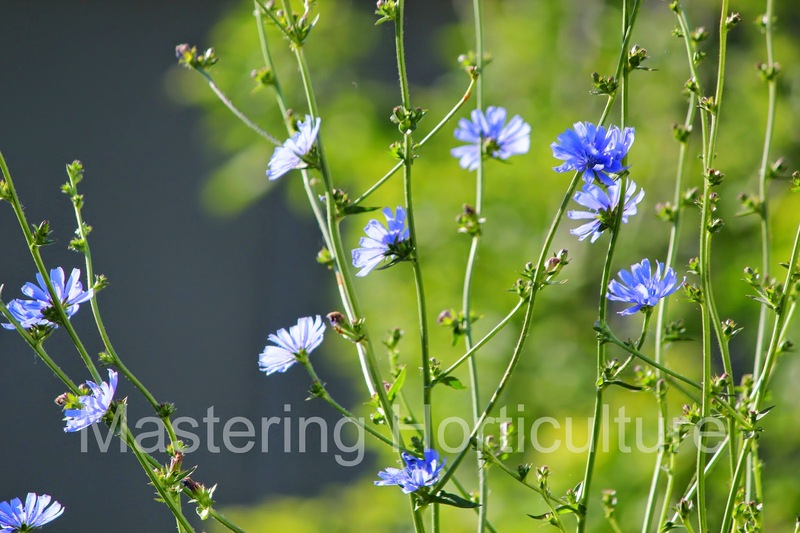 The seeds emerged quickly, produced healthy foliage till they began to bolt and produced flowers. Autumn came; one type of the greens continued to grow and did not bolt. Then winter came; the leaves of this plant began to form heads - like that of cabbage. The new leaves also began to turn wine-red in color. It was then when I began to wonder what this plant was - Radicchio! When Monocle Magazine named radicchio Vegetable of 2014, I was determined to keep a close observation on these curious plants growing in my garden. The mildly bitter and vibrant red radicchio is considered a super food due to its high antioxidant content. It was tempting but I resisted harvesting them. At this point they were more valuable as a learning tool than food. Spring came and the radicchio heads began to unfurl and flower initiation began. The plant finally began to bolt. The ground-hugging salad item suddenly turned into seven-foot flowering plant. Beautiful blue flowers opened every morning and faded in the afternoon. This scheduled flower opening made the bees busy during the cooler time of the day. Indeed, radicchio is a good insectary plant. 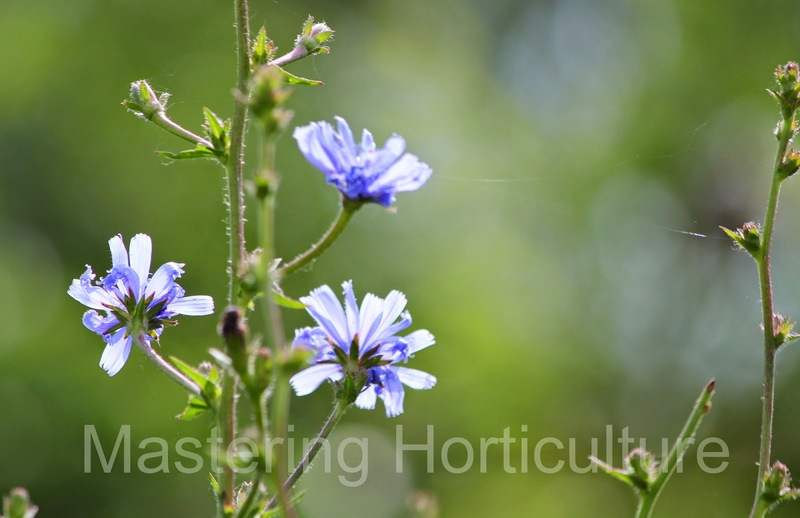 Being a member of the Asteraceae plant family (commonly known as aster or sunflower family), the flowers are designed in such a way that insects can land on them with conveniently. Plant radicchio for food, beautiful flowers and insectary plant. There is a season for everything. 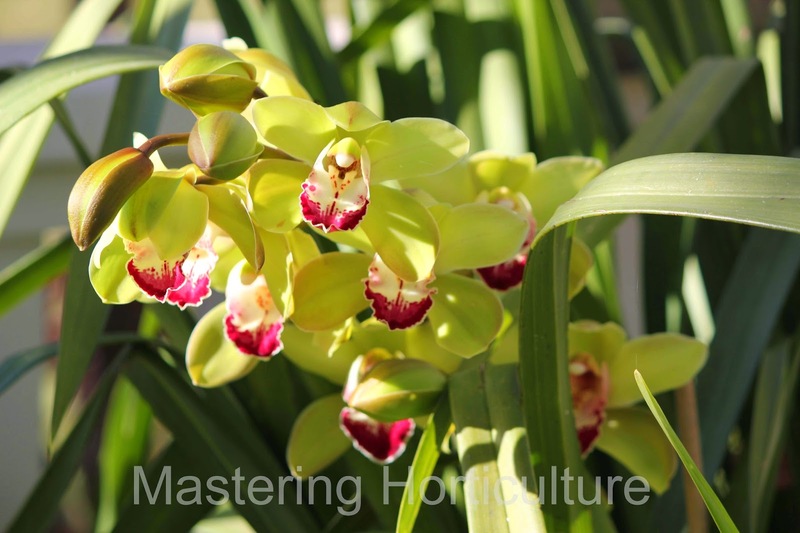 In my garden, now is cymbidium season. While the rest of the plants are just beginning to awake from their winter rest, these outdoor orchids are putting on a spectacular show. 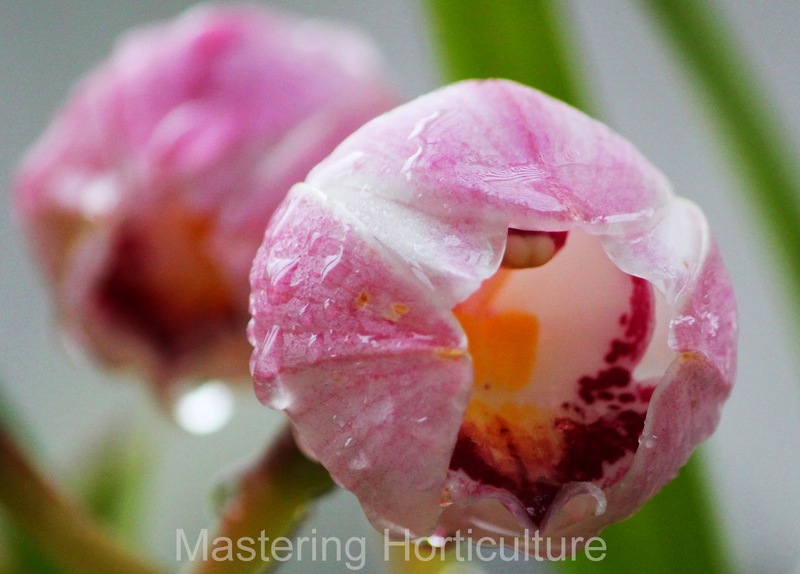 Cymbidium flowers have an incredibly long life span. When left outdoor under a protected area the blooms can last from four to six weeks depending on prevailing temperatures and available moisture. Based on my experience, they can outlive their desirability. With clean water, cut flowers have a vase-life of two to three weeks. 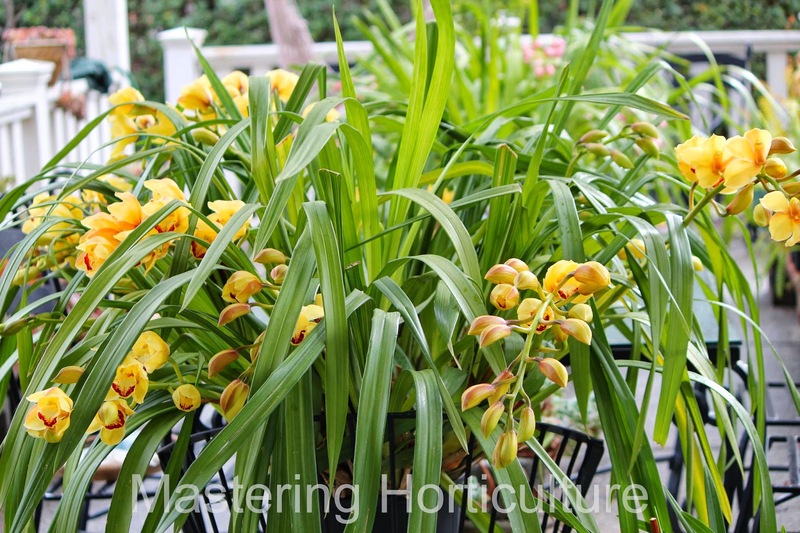 Cymbidiums prefer being outdoors where they can get bright lights but away from direct hot sun, gusty winds and frost. Here in our Zone 9 area, night time temperatures still come close to freezing at times and the ornamental pear tree (Bradford) that provides a protective shelter in the summer is still bare at this time. 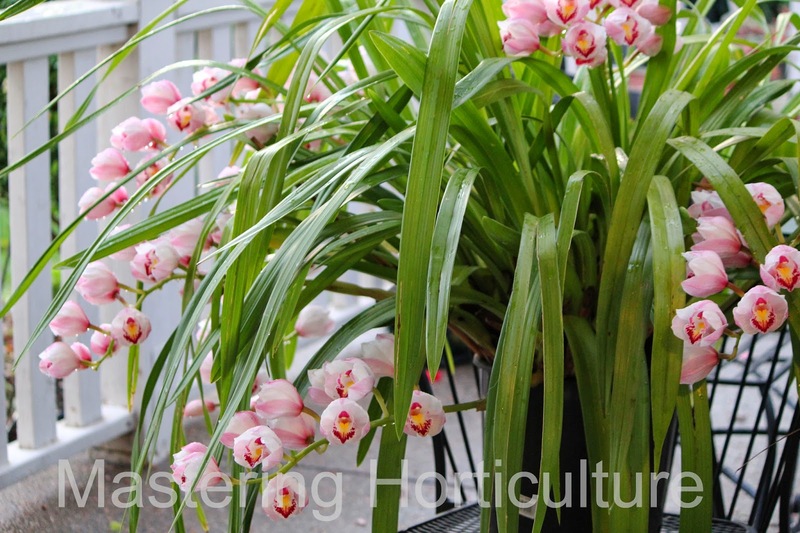 And although these orchids can withstand some frost, we usually move them into the patio for protection during the cold months of January-March and also for a little cover from direct sunlight. When they are done blooming they go back where they can get as much sunlight as they can while temperatures are still below "scorching-levels". This arrangement works well for me since the patio is right next to the dining room window; we get to enjoy the flowers more. 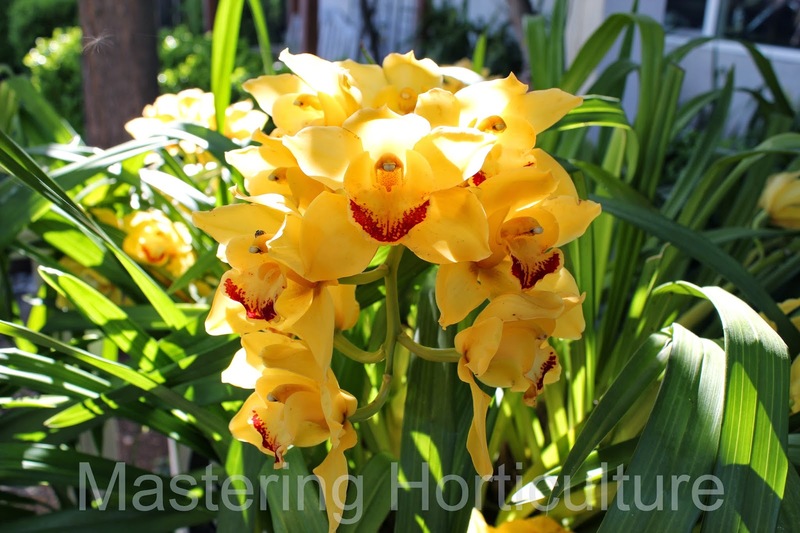 It is alright to bring the orchids indoors when they are bursting with flowers but they need to go back outside as soon as possible in order to keep the plants healthy and strong. Generally, I prefer to cut the flowers and leave the mother-plants outside. This way, next year's bloom is not compromised. It is obvious from the pictures here that I need to learn the discipline of staking. Staking is a process. It is not a one-time activity. Success in staking can be achieved when the process is started when the spikes are short and then tied progressively higher as they lengthen. 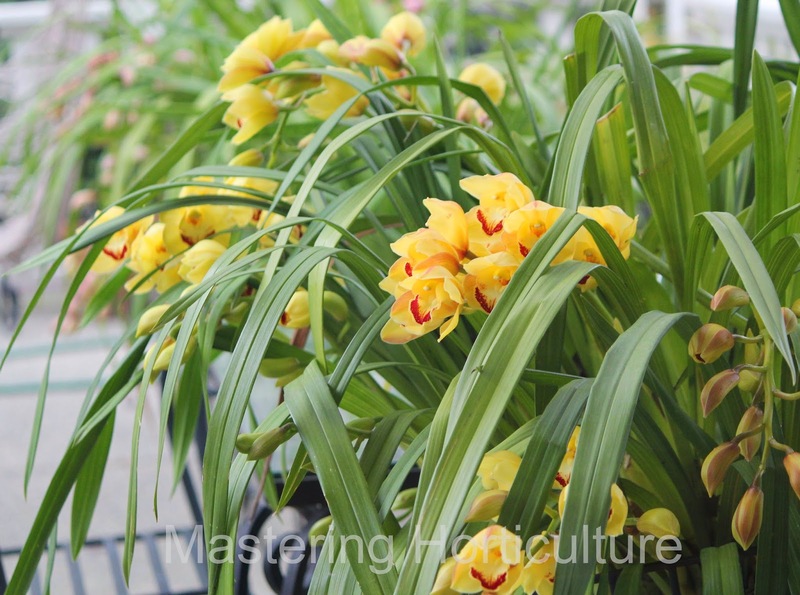 Staked flower spikes look stately and elegant but the natural bent-look of their unsupported counterparts gives the appearance of freedom and playfulness in the cymbidium. So it is a matter of preference. After a record-breaking period of no measurable precipitation in our area, the rain has finally come this year. Between yesterday and today, some four inches of rain (and counting) has already blessed our soils. For the first time this year, the soil is getting close to saturation within the root zone. It is beautiful to see the leaves of the plants glisten under an overcast sky. The colors of the flowers look more intense in the rain. Even with just two rainy days, so far, signs of accelerated activity among the plants are now visible. The plants seem to be singing in the rain right now. Mutation happens when there is a sudden change in the DNA sequence of a gene which contributes largely to the diversity among plants. Hibotan or Moon Cactus (Gymnocalycium mihanovichii var. friedrichii) is a mutant cactus. This mutation is characterized by the absence of chlorophyll in the plant. The colors of the normal Gymnocalycium range from green to greenish purple, but their mutated counterparts - lacking the green pigmentation - exhibit bright colors in yellow, pink, creamy-white, orange, or red. Plants are by nature autotrophs - capable of producing their own food through the process of photosynthesis. However, the absence of chlorophyll, a key component to photosynthesis, disqualifies the mutant cactus (Hibotan) from being a self-feeding organism. On their own, they will not survive for more than a week since they cannot produce sugars for nourishment. However, in spite of its inability to photosynthesize, the absence of the green pigmentation resulted in clear vivid coloration of the plant that mimics the vibrant hue of flowers. Indeed, the colorful part of the Hibotan (Fig. 1) is not a flower. On the contrary, it is a handicapped plant that is grafted to a physiologically functioning plant for nutritional support. The composite plant with brightly colored scion on green stock creates an appearance of a cactus in bloom (Fig.1). It is not a flower -- it is a chlorophyll-free cactus attached to a green stock.